Almost 2 years ago, I stepped out of my comfort zone at a "SaaS" web company and joined the Canonical Server Team to work on Ubuntu Server development full time. I didn't really grasp what I had walked into, joining the team right after an LTS release. The 10.04 release was a monumental effort that spanned the previous 2 years. 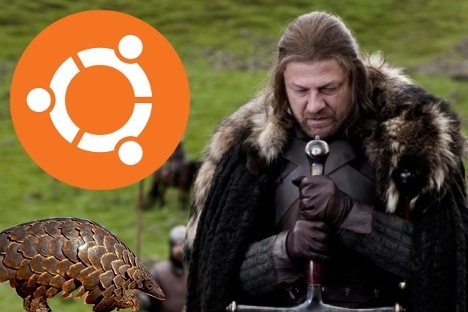 Call me a nerd if you want, but I get excited about a Free, unified desktop and server OS built entirely in the open, out of open source components, fully supported for 5 years on the server. And now, we're about to do it again. Precise beta1 is looking really solid, and I am immensely proud to have been a tiny part of that. Ubuntu 10.10 "Maverick Meerkat" - We helped out with getting CEPH into Debian and Ubuntu for 10.10, which proved to be important as it gave users a way to try out CEPH. CEPH will ship in main, and fully supported by Canonical in 12.04, which is pretty exciting! This was also the first release to feature pieces of OpenStack. Ubuntu 11.04 "Natty Narwhal" - Upstart got a lot better for server users in 11.04 with the addition of "override" files, and the shiny new Upstart Cookbook. We also finally figured out how to coordinate complicated boot sequences without having to rewrite upstart to track state. I wasn't personally involved, but we also shipped the first really usable OpenStack release, "cactus". Ubuntu 11.10 "Oneiric Ocelot" - It seems small, but we fixed boot-up race conditions caused by services which need their network interfaces to be up before they start. Upstart also landed full chroot support, so you can run a chroot with its own upstart services inside of it, which is important for some use cases. This release also featured the debut of Juju, which is a new way to deploy and manage network services and applications. Ubuntu 12.04 "Precise Pangolin" - OpenStack Essex is huge. Full keystone integration, lots of new features, and lots of satellite projects. Juju has really grown into a useful project now (give it a spin!). We also were able to transition to MySQL 5.5, which was no small feat. The amount of automated continuous integration testing that has gone into the precise cycle is staggering, and continues to grow as test cases are added. We'll never find all the bugs this way, but we've at least found many of them before they ever reached a stable release this time. There's so much more in each of these, its amazing how much has been improved and refined in Ubuntu Server in just 2 years. I'm pumped. A new LTS is exciting for us in Ubuntu Development, as it refocuses the more conservative users on all the work we've been doing. I would love to hear any feedback from the greater community. This is going to be great!